Article courtesy of CD Davidson-Hiers at Tallahassee Democrat. It’s called Comma, and it’s an art exhibition in a box. 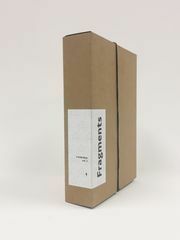 The idea of the exhibit is to connect patrons with artists in a re-imagined approach to art galleries — by making these galleries portable and available for purchase. Comma first occurred to Judy Rushin, MFA director of the art department at Florida State University, as she worked on her own artwork. Artists Andrew Epstein, Lorrie Fredette, Chalet Comellas, Carlos Kempff, Anne Stagg and Judy Rushin joined to create 100 miniature exhibits formed of fragments, selling for $120. The exhibit’s release date is Feb. 14. The project’s name, aptly entitled, is “Fr-agm-ents.” It is the second volume to the Comma project. Rushin’s own art is often described as “contemplative” and evokes an intellectual and emotional response within the viewer without the ‘meaning’ of the piece being entirely obvious. But Rushin said not everyone knows to ask “What was the artist thinking?” when viewing artwork. “…and that’s OK. I hope that once I tell people (what I was thinking), it makes sense,” she said. Which is how she approaches contributions to each Comma box — the artists who add to the exhibit refrain from having any control over the viewer’s interactions with the pieces. “I’m very interested in how objects – their meaning or potential — changes when they’re next to something else. And that’s part of what Comma’s about,” said Rushin. She also wants to work to break the wall between artists, artwork and the viewer. “The idea of people handling the artwork, that’s a concept that artists don’t think about often. What happens when people actually touch it,” said Rushin. Andrew Epstein, a professor of English at Florida State University, was attracted to the Comma project when Rushin first approached him about contributing. “I’ve always been interested in collage and artwork which brings together fragments,” said Epstein, associate chair for graduate studies. He gathered quotations he thought would fit well into the project. He pulled from poetry, his main academic focus, philosophy and critical literature to create cards with which the viewer may interact and read in no particular order. “It was fun to put together this kind of experimental patchwork of quotations,” he said. He said the cards helped underscore the particular theme of the exhibit. “The tension between fragments and wholes,” said Epstein. For the viewer who may be skeptical of approaching Comma ‘incorrectly,’ Rushin said there is no set way to interact with the box. It is an exhibit which belongs to the individual and comes with no instruction manual. “I didn’t want it to be too prescriptive,” said Rushin. What: Comma, Vol. 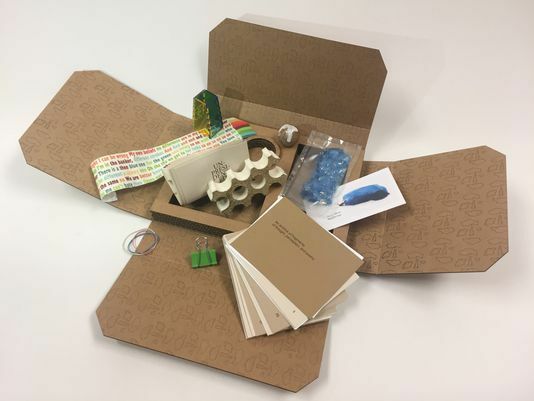 2 — portable, interactive art exhibit in a box. When: Official release date is Feb. 14. Cost: The pre-order price is $100. Order price is $120. How: To order or pre-order, visit Comma’s site.